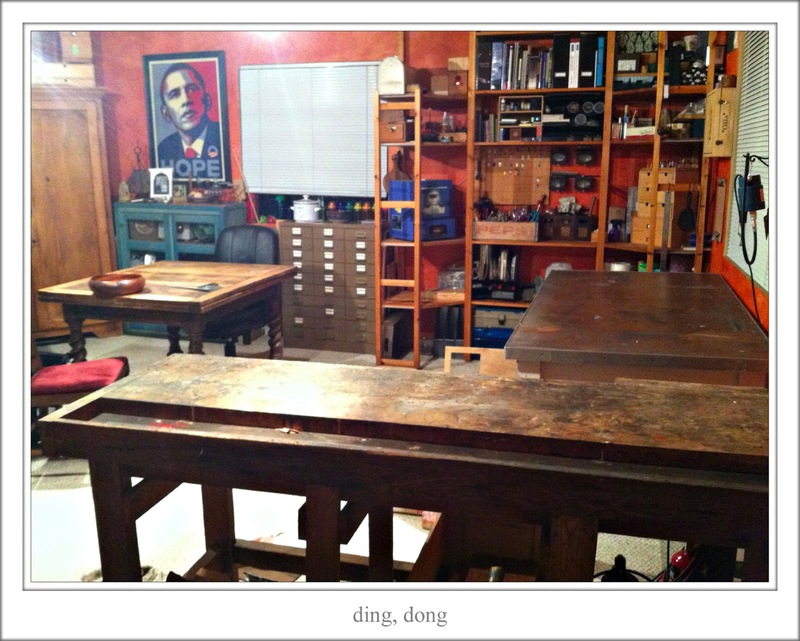 Ding, Dong, The Hoard is Dead! Happy New Year!!! 3 weeks late, but better late than never, I hope. 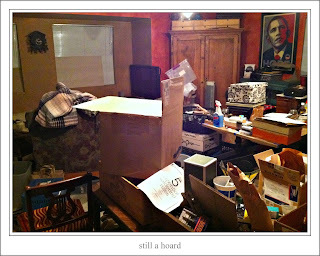 Every year starting in December and ending, hopefully, before the end of January I dismantle my house and put it back together room by room. 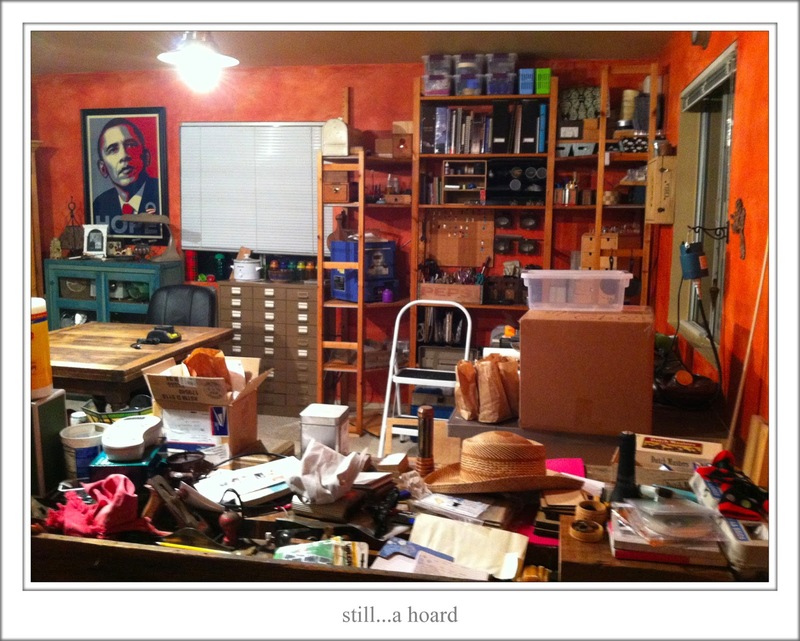 I would rather have “a new” furniture and object arrangement than “a perfect” one. Change is good!! This year I tried a new method, and thus The Hoard was born. Sorry the pictures are so terrible, they are all just terrible, sorry. 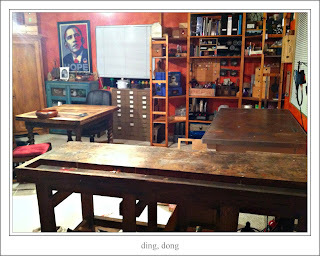 I took everything, objects and clutter, from all the rooms of my house and put them in my studio. The idea was that only the things I couldn’t live without seeing or using would find their way back into the house. The rest would be packed up, donated or tossed. And let the sorting begin. Do you see the great strides? No. Me neither. My partner’s books must be the reason, there are just so many books, no exaggeration, we’re talking about several hundred if not over a thousand books here. So we’ll have to have that library we have always talked about. So I built a library for my honey’s books (Merry Christmas) while he was still away with his family and The Hoard is tackled right…. Wrong!! And then the real work begins. Sorting through, at least a year's worth, of choices good, bad, and ugly. This method forced me to really look at all the stuff, and for that, it was good. 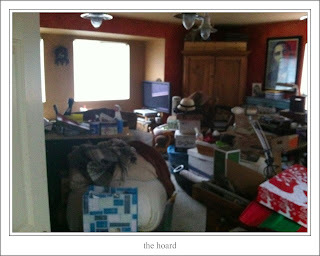 But The Hoard took on a life of it’s own and put up a fight that was harder to win than a mini, room by room, hoard has ever been. But eventually The Hoard must, and did, die. 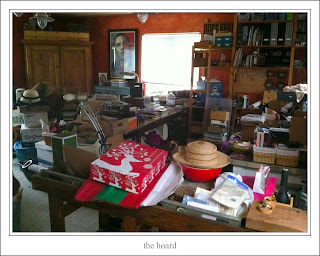 The positive I took from the vanquishing of the hoard was; that if we, my partner and I, were not complicated (yes, insert a little crazy), creative (yes, insert a little messy), and handy (yes, insert a little tool crazy) we would not have had to tackle the hoard; but we would not have a solarium, started here ... and more... now done, (more to follow), a library (more to follow), a cool kitchen cabinet (more to follow) and so on and so on. So I’ll take the hoard, it was hard to slay but it’s a beast that gives back as much as it takes…..most days.